It’s Black Friday… Time for our annual Black Friday Sale! Welcome to Arca Noae’s second Black Friday Sale! 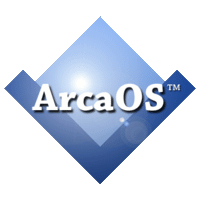 ArcaOS 5.0 personal edition licenses are on sale for just $109 from now through Sunday, November 25. Personal edition licenses include six months of support and updates, and after that, annual support renewals are available for a great price. ArcaOS 5.0 commercial edition licenses are on sale for just $195 from now through Sunday, November 25, and include a full year of support and updates. This entry was posted in Arca Noae, ArcaOS, News and tagged arcaos, blue lion, discount, os/2, price, sale, shop, software, store on November 23, 2018 by Lewis Rosenthal.